BATON ROUGE, LA (WAFB) - From voting rights for former felons to how election resources are spread out across the state, people sounded off on how they think elections in Louisiana could be improved. They spoke before the Louisiana Advisory Committee to the U.S. Commission on Civil Rights, which held its second meeting at the state capitol Wednesday. The panel's goal is to collect input from across the state about barriers some people face to accessing the voting booth. That information will then be passed along to the federal commission, which will compile it with input from other states to create a national report. "If we're going to be true to no taxation without representation, I think everybody in this country needs to be able to vote," Norris Henderson told the panel. He's the executive director of Voice of the Experienced (VOTE), an organization founded and run by former prisoners. One woman, a PhD student at LSU, says her research shows that in Louisiana, there are fewer polling locations and voting machines in both poorer and African American communities. 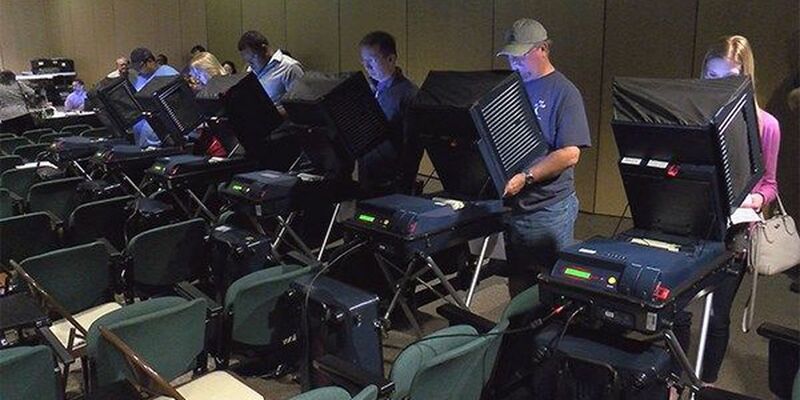 "When you have fewer voting machines, you have longer wait times. People may see the lines and decide not to vote," Jhacova Williams said. Others, including a Democratic state senator, says laws stood in the way of voter turnout, including one blocking voting rights for those on probation. "To be able to participate as any other person would, it seems to be fair to me," said Sen. Karen Carter Peterson. This is the second public meeting of the committee. They also met a few weeks ago at Grambling State University. Robert Lancaster chairs the panel. So far, he says they have heard certain concerns come up time and time again. "It's looking at registration procedures, in order to expand the ability for people to register without facing barriers there," Lancaster said. "It's looking at our early voting process, and ways in which that could be adjusted in order to increase participation." Taking the stand, Kyle Ardoin with the La. Secretary of State's office defended how they run elections, including how they allocate resources. He says they set up polling locations based on the number of registered voters in a particular area, not the overall population. He also says extending the early voting period to run right up to election day, an idea floated by some earlier speakers, was impractical, saying the office would need a much larger staff to do so. Ardoin admits things are not perfect and there is room for improvement. However, he stresses that over the years, strides have been made to improve voter access. "Louisiana is a very different place than has been characterized," he said. Lancaster says the panel plans to continue collecting input through the end of January before passing their findings along to the federal commission in the spring.